Accepting the Community Service Award on behalf of Johns Hopkins Medicine is Mr. Ronald R. Peterson, President of The Johns Hopkins Hospital and Health System, and Executive Vice President of Johns Hopkins Medicine — the umbrella alliance of the Health System and The Johns Hopkins University School of Medicine, headed by Edward D. Miller, M.D. A more than $4 billion enterprise, Johns Hopkins Medicine unites physicians and scientists of the Johns Hopkins University School of Medicine with the organizations, health professionals and facilities of the Johns Hopkins Health System. The mission of Johns Hopkins Medicine is to improve the health of the community and the world by setting the standard of excellence in medical education, research and clinical care. Diverse and inclusive, Johns Hopkins Medicine educates medical students, scientists, health care professionals and the public; conducts biomedical research; and provides patient-centered medicine to present, diagnose and treat human illness. Mr. Peterson is the tenth president of The Johns Hopkins Hospital — rated the nation’s best for 17 consecutive years by U.S. News & World Report. As President of the Johns Hopkins Health System, he provides senior oversight for Johns Hopkins Bayview Medical Center and Howard County General Hospital. He also serves as chairman of Johns Hopkins Community Physicians, which administers ambulatory care at 16 centers throughout Maryland, and as a trustee of the Johns Hopkins Home Care Group. Mr. Peterson arrived at Hopkins in 1973 as an administrative resident and since then, has carried out one assignment after another on behalf of Hopkins. He became administrator of the Henry Phipps Psychiatric Clinic in 1974, of Hopkins Hospital’s Cost Improvement Program in 1975, and of the Johns Hopkins Children’s Center in 1978. In 1982, he started the process of transforming the troubled Baltimore City Hospitals into what is now known as the Johns Hopkins Bayview Medical Center, directing a $100 million physical redevelopment program and turning a $7 million a year loss under City ownership into a positive bottom line performance averaging $5 million a year. He served as president of the medical center from 1984 until 1999. In 1995, Mr. Peterson was named Executive Vice President and Chief Operating Officer of Johns Hopkins Health System, in order to bring stronger coordination and cohesion to its operations and strategic planning. He was named acting President of Hopkins Hospital and Health System in September 1996. The hospital position was made permanent in December 1996 and the health system position in February 1997. He was named as Executive Vice President of Johns Hopkins Medicine in 1998, reporting directly to Dr. Miller. Mr. Peterson is a 1970 graduate of The Johns Hopkins University, with a Master’s degree in hospital administration from The George Washington University in 1974. W.Gill Wylie is the President of The Johns Hopkins Medical Management Corporation (JHMMC), an integral element of Johns Hopkins Medicine. He has dedicated his health care career to The Johns Hopkins Hospital and Health System, and served in numerous leadership positions at the hospital from 1985 to 2002, before becoming president of JHMMC in 2002. He received his Bachelor of Arts degree at Hampshire College in Amherst in 1978, and his Masters in Public Health and Masters in Business Administration degrees at University of Pittsburgh in 1984. 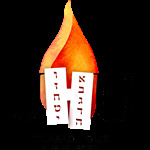 As president, Gill oversees the far-reaching responsibilities of JHMMC. The JHMMC is responsible for the owner, landlord and general partner duties supporting Johns Hopkins at Green Spring Station, Johns Hopkins at White Marsh, Johns Hopkins Heart Health at Timonium, Johns Hopkins at Cedar Lane, Johns Hopkins at Odenton and other free-standing developments. These responsibilities include developing and overseeing all building and infrastructure support services including leasing, space development, phone system management, information systems, security, maintenance, housekeeping and all other on-site support services. At these sites, Gill serves as Johns Hopkins Medicine’s representative to all tenants, other property owners and general community. Gill was instrumental in developing new and existing ambulatory services serving Johns Hopkins Medicine. Projects are located throughout the Baltimore metropolitan area including new ambulatory care centers, as well as new programs and relationships with affiliated physicians. These projects have included organizing physician groups into asset mergers or other affiliated arrangements; development of satellite facilities (including site selection, negotiation, design and construction), as well as business planning and implementation for various new programs. Gill developed the “hub” concept for the consolidation and focus of the Johns Hopkins Medicine regional patient care delivery system. When Gill served as project director of Johns Hopkins at Green Spring Station in the 1990’s, he provided administrative support for the development and operations of the largest, free-standing outpatient center in the Baltimore—Washington metropolitan area. This support included all program and facility development, leasing, operations and finance responsibilities. Today, Johns Hopkins at Green Spring Station is a 225,000 square foot complex spread among five buildings serving over 300,000 patient visits per year. In addition to over 140,000 square feet of new physician office space for Johns Hopkins full-time and part-time faculty physicians, the facilities include chemotherapy and radiotherapy, full-spectrum of diagnostic radiology including general, bone densitometry, mammography, ultrasound, nuclear medicine, CT and MRI; four ambulatory procedure sites, including general minor surgical procedures, endoscopy, surgery, and laser facilities; comprehensive outpatient rehabilitation facility; urgent care center; clinical support laboratories and many other patient amenities. His responsibilities also included the implementation of new models and ways for developing integrated medical practices and facilities. and Chairman of Educate, Inc.
Mr. Hoehn-Saric was the key management participant in a management led going private transaction for Educate, Inc. valued at over $550 million completed in June 2007. Sterling Capital Partners LP, in which Mr. Hoehn-Saric is a Senior Managing Director, was the controlling investor of a group that included Citigroup. He continues to serve as Chairman of the Board for the Educate private companies and has Sterling’s key oversight role for the Educate investment. Mr. Hoehn-Saric was the CEO of Educate, Inc., the parent company to Sylvan Learning Centers, from June 2003 through June 2007 and Chairman of the Board from April 2004 through June 2007. Previously, from January 2000 until June 2003, he was Chairman and Chief Executive Officer of Sylvan Ventures, the incubator subsidiary of Educate’s predecessor Laureate. Beginning in April 1993 he served as Chairman of the Board of Laureate and as co-Chief Executive Officer of Laureate until January 2000. He also served as President of Laureate rom 1988 to 1993 and has been a member of Laureate’s Board since 1986. Mr. Hoehn-Saric began his noteworthy entrepreneurial career by co-founding Health Management Corporation, a health services company, and LifeCard International, a medical technology irm, both of which were later sold to Blue Cross Blue Shield. He also co-founded Sterling Capital, Ltd., an investment company in which Mr. Hoehn-Saric has served as a principal since 1983. Sterling Capital acquired the predecessor to Sylvan Learning Systems, Inc., of which Mr. Hoehn-Saric and a partner assumed control in 1988. In addition, he is a General Partner in Sterling Venture Partners, a growth venture capital fund and Sterling Capital Partners, a mid-market buy-out fund with over $1.8 billion in capital. 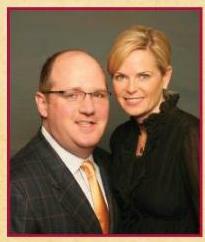 Mr. Hoehn-Saric serves on the board of Sterling Capital. He also serves on the boards of Laureate Education, Inc., The Becker Group, Florida Coastal School of Law, Meritas LLC, Safety Systems Corporation, CA Holding I, Inc., CA Holding II, Inc., the Advisory Council of The Sheridan Libraries of Johns Hopkins University, and on the Board of Trustees for Johns Hopkins University. Peter J. Cohen has served as the President and CEO of Sylvan Learning Inc. since July 2007. In January 2005, Mr. Cohen became President of the Learning Center segment of Educate, Inc. From February 2000 until July 2003, Mr. Cohen was President and Chief Operating Officer of Sylvan Learning Systems, Inc., which is now known as Laureate Education, Inc. Mr. Cohen joined Sylvan Learning Systems, Inc. in 1996 as President of the Sylvan Learning Centers division. From 1994 to 1996, Mr. Cohen served as Chief Executive Officer of The Pet Practice, Inc., a national chain of branded pet hospitals. Prior to 1994, Mr. Cohen held senior management positions at NutriSystem Weight Loss andCircle K Convenience Stores. Educate, Inc. is a leading pre-K to 12 education company delivering supplemental education services and products to students and their families. Educate’s consumer services businesses, including Sylvan Learning, North America’s best-known and most trusted tutoring brand, operates the largest network f tutoring centers, providing supplemental, remedial and enrichment instruction and its ducate Products business delivers educational products including the highly regarded hooked on Phonics early reading, math and study skills programs. Catapult Learning, its school partnership business unit, is a leading provider of educational services to public and nonpublic schools. In its 25-year history, Educate has provided trusted, personalized instruction to millions of students improving their academic achievement and helping them experience the joy of learning. Mid-States Title Insurance Agency, Inc., and Long & Foster Insurance Agency, Inc. He founded Long & Foster Real Estate, Inc. in 1968, along with a partner, Henry A. Long. Wes Foster handled the residential real estate arm of the business and Henry Long handled commercial. In July 1979, Mr. Foster became sole owner and, with 260 offices and $65 billion in annual sales, Long & Foster is today the largest privately-owned real estate company in America. Wes Foster is a founding member of The Leading Real Estate Companies of the World and the Realty Alliance, both of which are trade groups consisting of the nation’s leading brokers. Presently, Foster is seated on the board of directors of Lane Construction Corporation of Meridien, Conn. He has also served on the board of directors of RELO®, The Leading Real Estate Companies of the World (a global network of large real estate companies), The Greater Washington Board of Trade, Metro Board of Directors of First American Bank of Maryland, and the Board of Directors of First Union National Bank of Virginia. He was named “Entrepreneur of the Year” in 1991 for real estate in the Greater Washington, D.C. area by Ernst & Youn g and co-sponsors Merrill Lynch and Inc. Magazine. In 1987, Wes Foster was elected Chairman of the Washington/Baltimre Regional Authority and is past Chairman of The Business Development Bureau of The Greater Washington Board of Trade. Foster is a 1956 graduate of the Virginia Military Institute and was an Army artillery officer, stationed in Darmstadt, Germany. He functioned in the capacity of Fire Direction Officer of the D. Battery 28th Artillery 8th Division (An Honest John Rocket Battery). He also served as special weapons liaison officer to the German III Corps. Foster resides in McLean, with his wife, Betty, and they have three grown children and five grandchildren. Brenda B. Shipplett, President and Chief Operating Officer of The Long & Foster® Companies, graduated with a Bachelor of Arts degree from Longwood College in 1971 and received a Master’s degree from Dartmouth College in 1974. Brenda began her working career in secondary education where she distinguished herself by repeatedly being named “Teacher of the Year”. She began her career in real estate in 1977 as a successful sales associate. Upon joining Long & Foster in 1986, she opened the firm’s Alexandria-Woodlawn office as its broker and then was appointed by company cofounder P. Wesley Foster, Jr. as General Manager of Long & Foster’s Virginia-West Virginia-North Carolina Region in 1990. 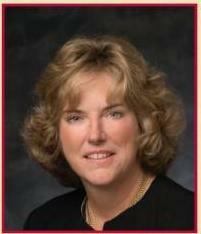 On January 1, 2004, she was appointed President and Chief Operating Officer of The Long & Foster® Companies. Myrna Cardin is often referred to as “Ben Cardin’s most important asset,” whether on the campaign trail or at public events. She loves political life and has been an active campaigner for her husband, U.S. Senator Benjamin L. Cardin, for many years. Myrna Cardin also is a communal leader in her own right. 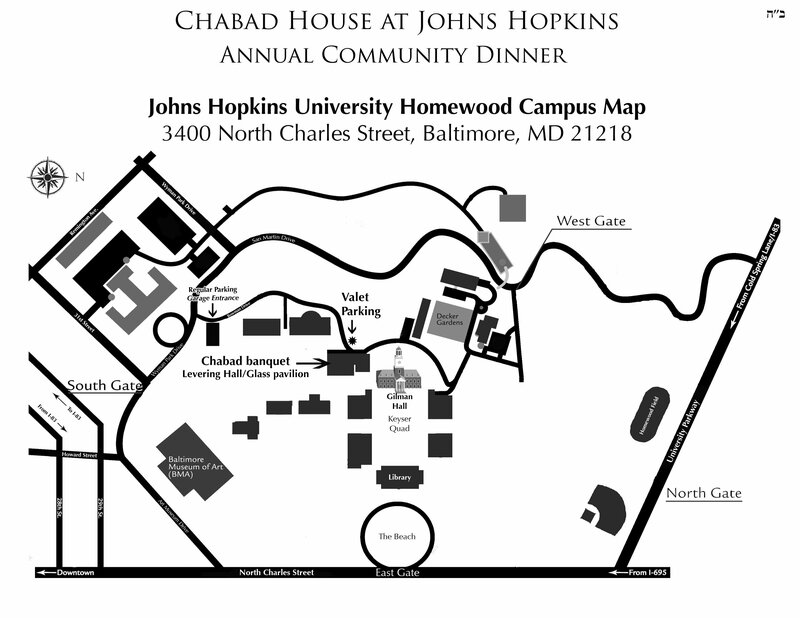 Over the years, she has been involved with a great many organizations, including: a board member of The Associated: Jewish Community Federation of Baltimore, Sinai Hospital, and Hillel of Greater Baltimore; a Trustee of the University of Maryland Baltimore Foundation. 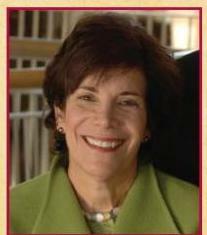 She co-chaired the March of Dimes Gala, Washington, D.C. for 1999-2000, and served as President of the Baltimore Jewish Council from 1996-1998. From 1997-2002, she was an active member of the American Red Cross Advisory Committee on Holocaust and War Victims Tracing and Information Center, and from 1993-1995 she was president of the Jewish Community Center. Myrna is a graduate of Towson University with a degree in education, and taught in the Baltimore County Public School system. She served as Executive Director of the Maryland Association of Non Public Special Education Facilities from 1990-1998, where she advocated for appropriate services for children with special needs. She has been a member of the board of the Dyslexia Tutoring Program, where she was a volunteer tutor. Her other professional activities have included the Director of Parent Relations and Special Project Assistant to the Park School and as Volunteer Coordinator for the Baltimore City Life Museums. Myrna has received numerous awards recognizing her leadership, among them: the BHC’s Distinguished Citizen Award, the Maryland Democratic Party’s Distinguished Leadership Award, the Hannah Moore School Award, and the Israel Bonds Golda Meir Award. On Capitol Hill, Myrna has been active in the Congressional Wives for Soviet Jewry, Democratic Spouses Forum and the Congressional Club. Since 1997, she has been a member of the advisory board of Congressional Families Action for Cancer Awareness. In addition to her active professional and communal life, Myrna Cardin is the mother of Deborah Cardin and son-inlaw Jonathan Willis, and the Nana of Madeline and Julia. Sam Rosenblatt has been a Mortgage Consultant for more than 12 years in Owings Mills, Maryland. Sam has built his reputation on hard work and integrity and has consistently provided his clients with honest, objective advice, and topnotch service. In addition to his reputation with his customers, Sam has been named as one of the nation’s Top 200 Loan Originators and as a Superstar of the Month in Mortgage Originators Magazine. Sam has also been consistently recognized as a top performer in his field. Sam grew up in Pikesville in a closeknit family, which includes his parents, Howard and Sandra, and his sister, Rachel. He is a lifelong member of Beth Tfiloh Congregation. Sam and his wife, Michelle, were married in September 2006, and reside in Canton with their two dogs, Gigi and Corkie After attending The Beth Tfiloh Community Day School, he received his high school education at The Park School, and attended The University of Maryland at College Park, where he earned a Bachelor of Science in Finance. While in college, Sam served as president of Tau Epsilon Phi Fraternity and participated in Intramural sports. Michelle Newberry was born and raised in Baltimore, Maryland. She went to high school at The Seton Keough High School and graduated in 1990. She continued her education at Mount S. Mary’s University in Emmitsburg, Maryland and graduated with a Bachelor of Science in 1994.